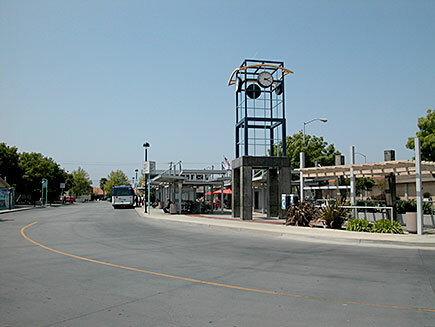 Watsonville Transit Center (WTC) is a regional transportation hub serving both Santa Cruz and Monterey Counties. 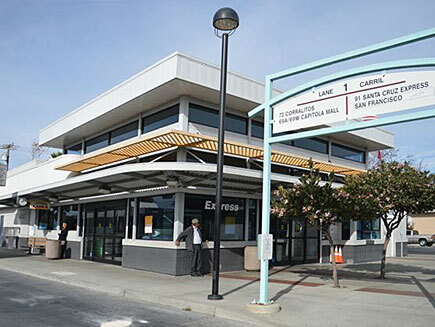 Situated at the interstices between both jurisdictions, it serves as the interface between the public transit network of the Santa Cruz Metropolitan District (SCMTD) and that of the Monterey-Salinas Transit District. It also serves as interface between these public transit networks, the private Greyhound Lines bus service, local taxis, and private vehicles. WTC was designed by Daniel Silvernail in his capacity of Project Architect with the firm of Robert D. Corbett. As envisioned by Edward Van Der Zande, Redevelopment Director of SCMTD, the facility's purpose was to serve as the great regional nexus between almost all the various modalities of transit, including not only bus, but vehicular, pedestrian, and even rail transit. And indeed the site selection and early conceptual iterations of the design visualized both light rail and bus service at the site. 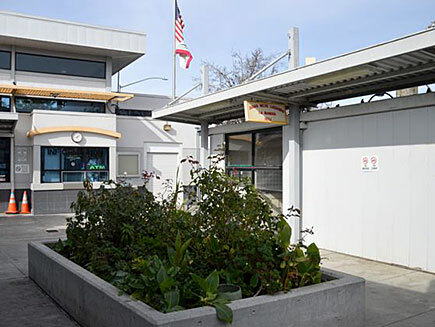 Thus the name of the facility as originally conceived is Watsonville Intermodal Transit Center. A visionary, Van Der Zande is perhaps best otherwise known for his concept to convey students between the University of Santa Cruz and the City Santa Cruz by means of an overhead tramway system, seeking thus to prevent despoiling of the Great Meadow that lies between them by surface traffic. 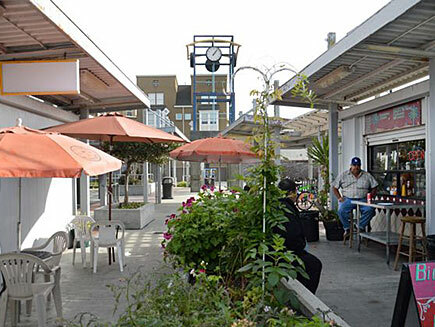 The program for the WTC facility required the vast enlargement of a then-temporary station into a permanent facility encompassing 1.65 acres, conversion of a former bank into a Terminal Building, and an approximately 8,500 square foot outdoor food court featuring six small detached buildings, or "kiosks." According to the program brief, each kiosk was required to be readily divisible into two separate tenant spaces or one single space, depending on the needs of the tenant. Similarly, the exterior walls of each kiosk were required to be easily reconfigurable, responsive to the needs of successive tenants. This requirement was accomplished by designing a permanent standing metal framework upon which individual wall panels are attached. 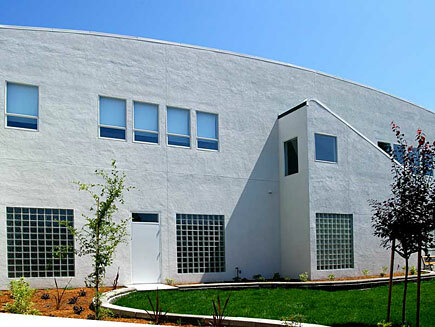 The wall panels form a "kit of parts," and by mixing and matching solid panels with pass-thru window panels, dozens of unique configurations are possible, responsive to each prospective tenant's needs. Among the other innovations, another of some significance is the design of the Terminal Building itself, which implements passive solar heating and places emphasis on natural daylighting. Accordingly, the central volume of the Terminal Building is double-volume, rising to a height of eighteen feet (18') within it's interior. For daylighting, the east and south walls are composed entirely of steel and glass, generously admitting of daylight. Three tiers of horizontal elements mitigate solar gain to prevent overheating of the space. 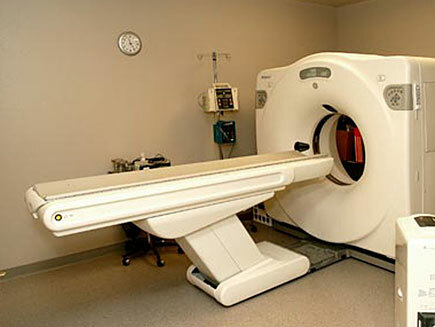 The first occurs at the generous eave, which projects four feet. The second tier is comprised of aluminum egg-crate set at a 45° bias, admitting filtered light. Finally, at the nine-foot (9') elevation a broad canopy serves the same function while also sheltering the District's ridership from inclement weather, and providing them shade. 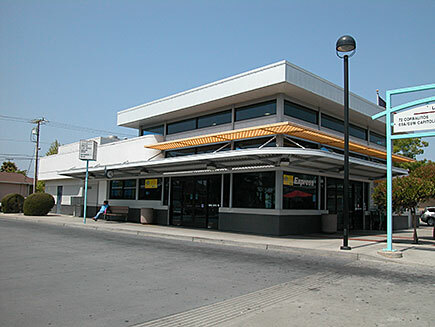 The solar design of the Terminal Building was perfected with the help of the solar modeling facilities of The Pacific Energy Center, on Howard Street in San Francisco.